An interest only investment mortgage could be the ideal solution for investors looking to maximise their cash flow while boosting the tax efficiency of their investment property. Paying nothing but interest on a mortgage may sound foolish, but it is the preferred loan product for property investors. The property market is currently offering strong returns across the country so it is well worth taking a closer look at your options if you are now considering moving into property investment. Rising rental yields are making property a smart investment choice with tight rental markets seeing rental prices increasing. This combination of long-term capital growth and regular rental income is what makes property such an ideal investment decision today. By choosing an interest only investment mortgage, potential investors can take advantage of these market conditions. What are the benefits of an interest only investment mortgage? 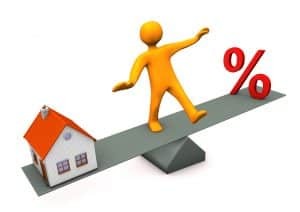 The most obvious benefit of an interest only loan is the reduction it gives the investor in monthly loan repayments, by only paying interest you are reducing servicing costs by 10 – 15 per cent. Interest only loans are suitable for both new and experienced investors. If you own your own home you could be able to release the equity that you have built up to secure an investment loan. On the other hand, for new or younger investors, interest only loans represent an opportunity to minimise the monthly repayments, assisting you in getting into the property market with a lower impact on your cash flow, because you only need to pay the interest on the mortgage and are not required to make principal reductions as well, therefore having less impact on your lifestyle, but with the potential over time for your investment to increase in value. If the property market falls, paying interest only could leave you without any profit. If you understand the property market you intend to buy in, you can however, help maximise the benefits that an interest only loan can offer. Be sure to discuss your plans with your accountant before committing to an interest only investment mortgage, to make sure that this is the right choice for you. Makes sense if you have a mortgage on your own home.